With three 25g tea samplers, one Perfect Spoon, and a pack of ten paper tea filter bags, the Back to Reality pack is made for night owls and early risers that need their caffeine fix to get through the day. The three teas included range from low caffeine, medium caffeine, and a super caffeine stimulant so you can really customize your recharge level. 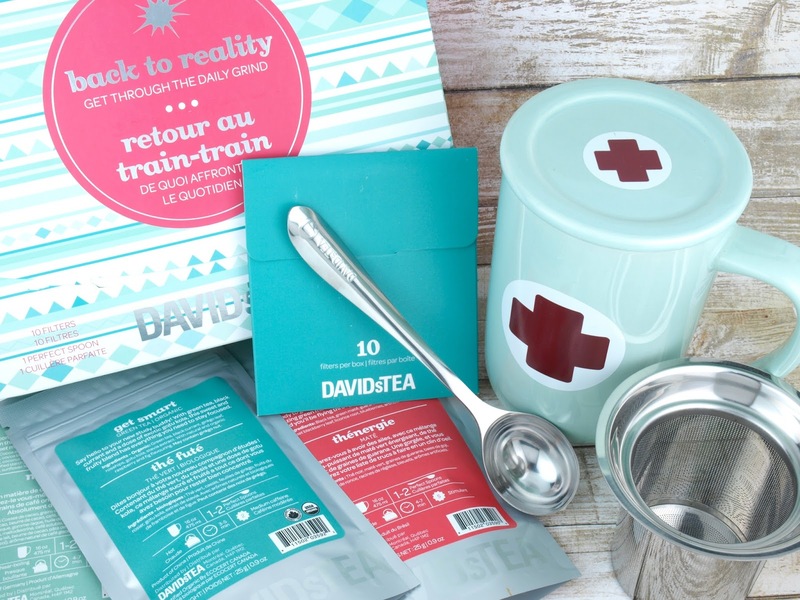 The kit literally includes everything (even a tea scooper) so if you are new to DAVIDsTEA, this set's got you covered! 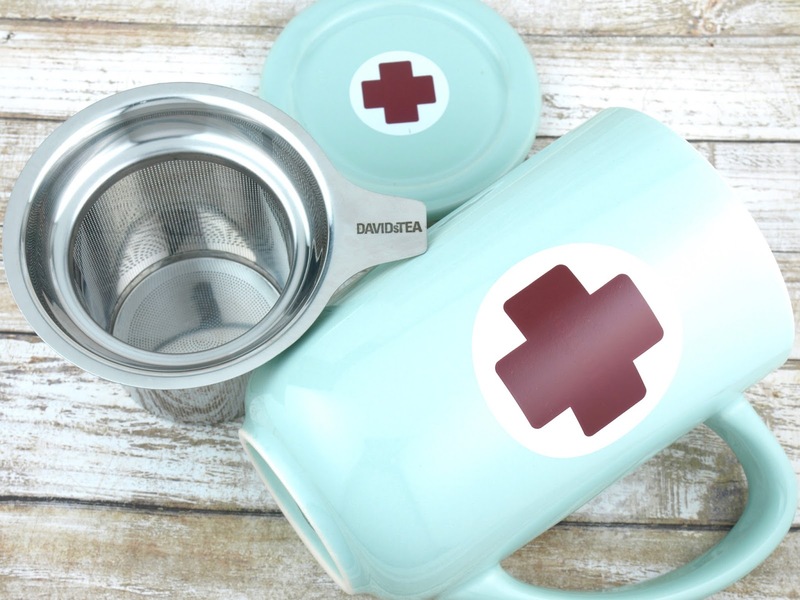 I love the DAVIDsTEA Nordic Mugs and for this winter season, you've got a super simple and season-appropriate mug printed with a red cross sign that actually changes color when you fill it with hot water. 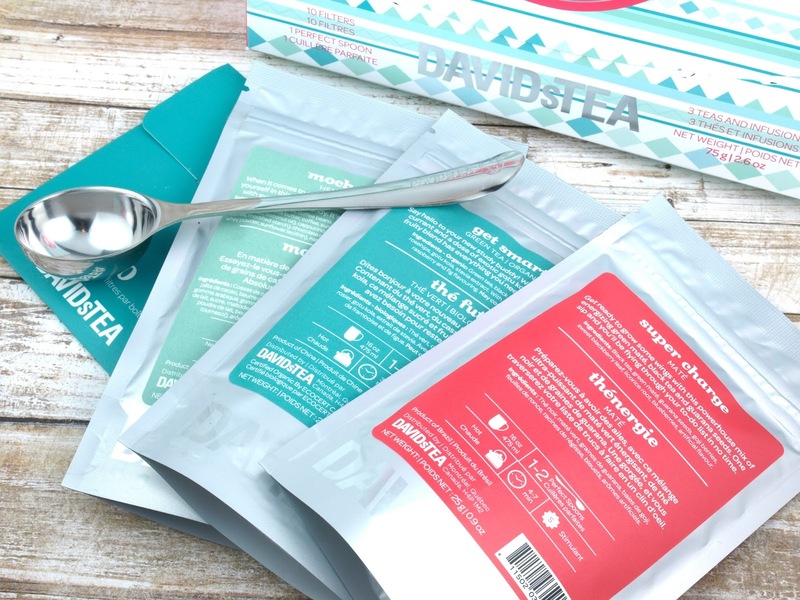 All DAVIDsTEA Nordic Mugs come with a tea infuser and a lid that doubles as a saucer for the infuser. Feel a cold coming? Fill 'er up!